The victory of Christ is at least three-fold: Jesus conquers at the Cross, through his resurrection and again, by his love. a) At the Cross: Paul writes to the believers in Colossae: When you were dead in your sins and in the uncircumcision of your flesh, God made you alive with Christ. He forgave us all our sins, having canceled the charge of our legal indebtedness, which stood against us and condemned us; he has taken it away, nailing it to the cross. And having disarmed the powers and authorities, he made a public spectacle of them, triumphing over them by the cross (Colossians 2:13-15, my emphasis). There is the victory of the Cross; reverse engineering the process is simple enough. Who does Jesus defeat? The powers and authorities. How does he defeat them? By disarming them. What weapons did he take from them? The legal charges and debts held against us. How did he disarm them of these legal charges and debts? By cancelling them. How did he cancel them? By forgiving all our sins. The result? God made us alive (raised us) with Christ. 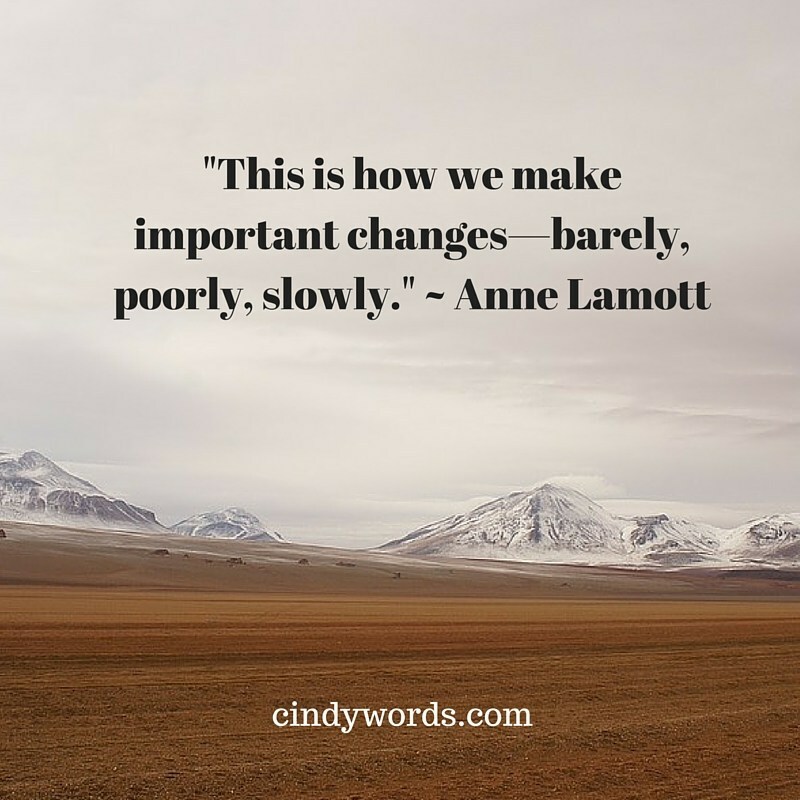 One of the great lessons and legacies of the empty tomb and the resurrection of Jesus is that our temporary world does not have the last word. Easter tells you and me that we are not disposable. Easter tells us that even while our bodies age and shrink and wither away—there will be a day when our bodies, like the body of Jesus, will be resurrected. God will never throw us away! During the second half of the 20th century our consumer culture turned into a throw-away-culture the likes of which the world has never seen. Plastic bottles are one of the premier examples—use the bottle once and then throw it away. Paper plates, disposable diapers and styrofoam cups are all a part of our throw-away culture. Several years ago my wife and I walked through a new store in our local mall called “Forever 21.” As we walked through the aisles and displays of clothing I checked price tags and was amazed at the rather inexpensive prices being asked for many of the articles of clothing. But then I looked a little more closely—and I felt the fabrics. They all seemed cheap, as if they wouldn’t last. After we went home I did a little research and found that this is but one of many new retail outlets that offer what is called disposable fashion. Garments considered to be disposable fashion are priced so inexpensively because they are designed to be thrown away after only a few wearings! The underlying value—it’s not made to last, so wear it a few times and when you are tired of it then throw it away. And let me be fair—it’s not just Forever 21 selling disposable fashion—items that are intentionally manufactured to have short life-spans are offered by many retailers. Our disposable culture increasingly desires convenience and immediacy over longer lasting value. 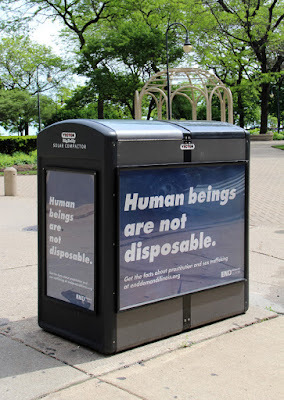 Disposable products and waste fill our landfills so that we in North America often have to ship the trash and debris we no longer desire to other countries—we have no room for all that we consider disposable. This is a guest post by Matthew Distefano. You can read more of Matthew’s work at his website All Set Free and his book All Set Free: How God is Revealed in Jesus Christ and Why That is Really Good News. There are certain theological assumptions within American Christianity that you just don’t touch. But I have always been the questioning type, and if I have learned anything from Girard’s mimetic theory, it is that prohibitions increase desire (to say the least!). Tell me I can’t question the doctrine of hell and I will. Tell me I can’t question the doctrine of sola scriptura and, again, I will. And tell me I can’t question the “common” understanding of the “wrath of God,” and well, here I am doing just that. Like many Western Christian doctrines, the definition of God’s wrath seems to be a given. Frankly though, like so many other “orthodox” views, I cringe at our eagerness to espouse such a belief. I mean, I do understand the propensity to believe in a quid pro quo type of God (thanks for that one Rob Grayson!) 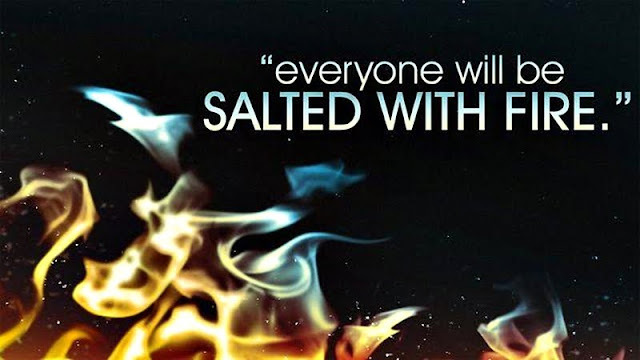 who A) reserves blessings for the righteous while B) reserving wrath for the wicked. I understand the human psychological need to ensure that we are in rather than out, that we are Jacob rather than Esau, elect rather than non-elect, and vessels of mercy rather than vessels of wrath (Romans 9:22–23). Ernest Becker’s work on the topic of death anxiety comes to mind in explaining our propensity in doing this. But I will leave that topic for another time (like in my forthcoming book, From the Blood of Abel). But is this view not unlike the God of Deuteronomy 28? Is it not unlike the God of Job and his so-called friends? Is it not unlike the God of the writer of Wisdom of Solomon? And didn’t Jesus—in places like Matthew 5, Mark 2, and John 9—teach his disciples that this economy-of-exchange model of God is inherently false? Answer: I believe he did. David Hayward, better known as the Naked Pastor, is Canada's premier cartoonist and critic of Christian culture. He's also an inspired and talented artist and author. 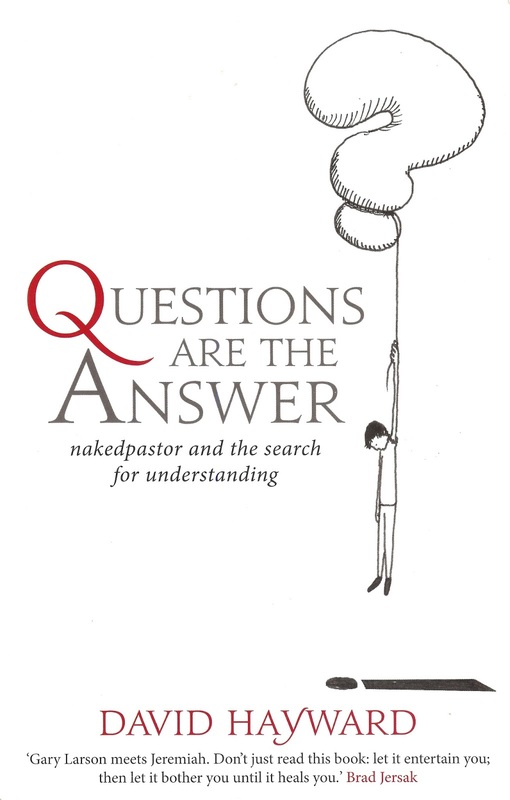 In this interview, Brad Jersak asks David about his recent book, Questions are the Answer: naked pastor and the search for understanding. Brad's endorsement of the book: "Gary Larson meets Jeremiah. Don't just read this book: let it entertain you, then let it bother you until it heals you." 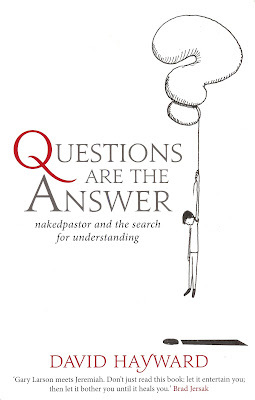 Brad: David, thank you for this book--for sharing your journey through your various stages of questioning. You describe these states as closed questions, swinging questions and open questions. 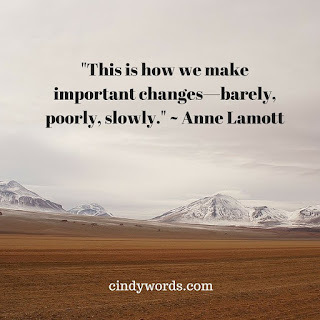 Could you unpack these, especially as it relates to your spiritual growth? David: First of all, thanks for this interview and giving me the opportunity to talk about my newest book, “Questions are the Answer”. I didn’t live my life according to these categories. I only detected these stages after the fact. I found them a convenient way to make some sense of my spiritual journey. To help us understand these three stages a little bit, let’s look at the issue of the inspiration of scripture. During the closed question stage of my spiritual journey, the inspiration of the Bible used to be the foundation of my faith. Looking back over my life, I could safely say that my solid belief in the inspiration of scripture supported everything I believed in and upheld my faith. It all depended on that. Cased closed! It was strictly black and white. Either the Bible was inspired or it wasn’t, and I believed it was. Then, in seminary, like a Jenga block, that foundational belief was challenged and all my faith and beliefs started to topple. This is the swinging stage, where my very neat and secure black and white world became grey. Nothing was clear anymore. For example, when you start questioning the historicity of, say, Jonah being swallowed by a great fish, that for many is the thin end of the wedge. It’s a very slippery slope. That was my experience. Once I started to question the historicity of one thing, then all other claims to historical accuracy were held with suspicion. 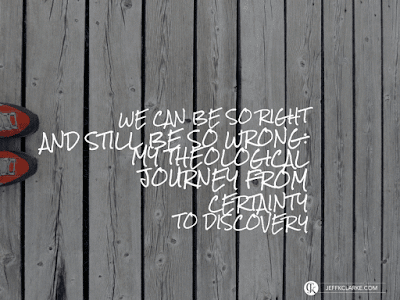 So I found myself swinging back and forth between the Bible’s inspiration and doubt of it. Finally, I entered what I now call the open question stage. This is when the obsession over the Bible’s inspiration comes to a place of peace. That is, the question becomes open. For example, it could ask a very open question such as, “What does inspiration mean?” Or we could even ask what truth is. Does truth require historical accuracy or can truth be found in myth and story. It’s not that we don’t care about inspiration anymore, but that it doesn’t concern us any longer in the same way. A few years ago, John Shore collected comments from Craigslist sites all over America asking What Non-Christians Want Christians To Hear. The results are cringe-worthy. As a progressive Christian, I consider myself part of a movement to try to re-vamp the brand of Christianity, defining ourselves as love over hate, inclusion over wall-building, listening instead of preaching. But it often feels like much of the internal conversations teasing out the nuances of faith is all that it is, internal. People outside of the Christian faith don’t care to engage in it. All our efforts to “breath new life” into religious structures corrupted by nationalism, consumerism, racism, sexism, and whatever other -isms, seem to be vaporizing into thin air. Turning the big ship of conservative evangelism, which seems to be setting a steady course towards dogmatic fundamentalism, is proving to be a futile endeavor—so much so that Christian ethicist, David Gushee, in his article for Religion News Services titled, “Conservative and progressive US evangelicals head for divorce,” suggests we abandon the ship and set off on separate ways altogether. As a faith blogger, tracking these larger trends of religion, getting a feel for the cultural pulse is at least fascinating to me, and at most helps me to find the role I play in shaping public conversations about faith. 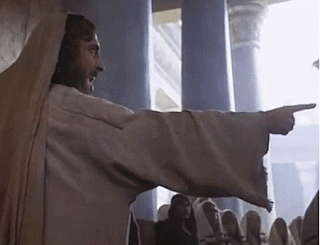 As a Christian and a human being, realizing that my scathing criticisms against Christian institutions who systematically harm those within it, is not much more than throwing tiny white eggs against a large brick wall, is incredibly demoralizing.Telling atheist friends that no, my Christian faith is about love, feels weak against evidence of Christians spewing hate in the public arena. For every sensible, compassionate, subversive Christian article I post onto my facebook wall, Matt Walsh’s rhetorical blog posts reaffirming the status quo are being shared and retweeted multiple times more. It makes me want to immediately run and soak in a, what my friend Kay Bruner calls, sweary bubble bath. My father died in 2009. He was one of the wisest and kindest men I’ve ever known. L. Glen Zahnd was a judge and at his funeral a man he had once sent to prison for armed robbery came up to me and said, “I’m here today to honor your father. In his capacity as judge he sent me to prison, but he always treated me with respect and kindness. He was as merciful as he could be and he strove to preserve my dignity.” My father was like that — he was a man full of grace. He spent his last few months in a Franciscan nursing home called La Verna. It’s named after the place where St. Francis of Assisi received the wounds of Christ. In his final years my father suffered from dementia and could barely communicate. But whenever he was asked if he would like to receive Communion, he always managed to say yes. Even as his mind and body were failing him, this man known throughout the community for his kindness wanted to maintain his connection to grace. G.K. Chesterton suggested that Saint Francis walked the world like the pardon of God. It’s an apt summary of the saint’s life. 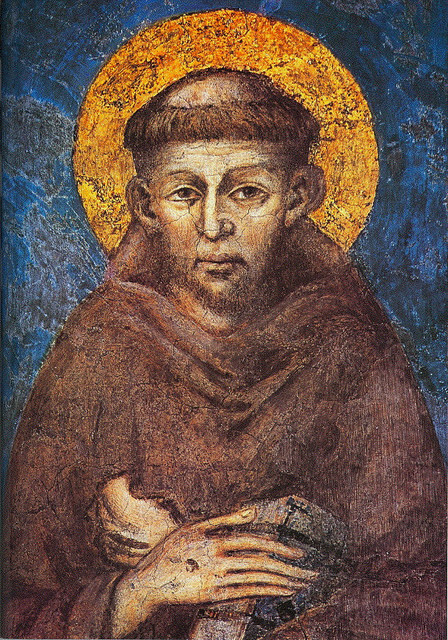 Francis embodied the grace of God as he walked the hills of Umbria barefoot in his patched brown habit and simple rope belt, preaching to birds and bishops. His life was a kind of performance art protest against the pervasive sins of thirteenth-century Italy — pride, avarice, corruption, and violence. Yet sinners themselves were drawn to Francis. How else do we explain why, in his lifetime, forty thousand people joined his rigorous order of radical Christianity emphasizing poverty, simplicity and humility? Like Jesus, Francis could uncompromisingly denounce systemic sin, while extending genuine compassion to the people caught in its pernicious web. To be a prophetic witness against systems of sin and a preacher of God’s pardon for sinners at the same time is the peculiar grace at which Francis excelled and to which the church is called. When we are able, by God's grace, to trust in God we truly rest in Christ. When we accept the gift of his grace, we experience the peace of God. By God's grace we may be transformed from children of hell into God's very own children. The Pilgrim's Regress by C.S. Lewis includes a fascinating story about a young boy's first encounter with religion and one of its religious professionals. Since Lewis is one of my favorite authors, I've read and studied about his own childhood, and it seems that some of what he is talking about in this fictional story is autobiographical, with a direct relationship to his own experiences with Christ-less religion when he was growing up. In The Pilgrim's Regress Lewis tells us about a young boy named John, who was taken by his parents to see their local vicar (pastor). It was their way of formally introducing John to God. His parents talked with the vicar first—while John waited—and then, when that conversation was finished, John was invited to talk with the pastor alone. At first, as John remembers the incident, the vicar seemed to be a warm and engaging person. They talked about fishing and bicycles, topics that captivate many young boys. But then, suddenly, the religious professional took a terrifying mask off the wall of his office, and put the mask on his face. As the vicar talked to John through that mask which, with its long white beard, was supposed to be a visual image of God, he told John that God is very kind, but he also has lots of rules. And if John didn't obey all the rules, even though God is very kind, God would throw him into a black hole filled with snakes and scorpions. I have searched at least 7 articles about Hell from the www.ptm.org search button. There is absolutely no mention of Mark 9:42-50 in any of the articles. There are many scriptures that are addressed about Hell but not this particular one. I know it not to be true but it almost seems that it is intentionally ignored. I so look forward to your response. Here is the text in blue, along with my own notes in black as I go. I will use the NASB since it is the most literal translation we have of the Greek and tends not to delete words that other translations though we unnecessary (but are critical to our understanding). hell here is a translation of the Greek word, gehenna, (or from Hebrew, Valley of Hinnom) which was literally the valley south of Jerusalem that a long history of destructive fire: (a.) the prophets of Molech burned children there - 2 Chron 28:3, 33:6 (something God never even thought to do - Jer. 7:31); (b.) Josiah, whose name means 'fire of God' burned up all the altars and priests of Molech in that valley; (c.) when Jerusalem would be destroyed by both Babylon and later, Rome, the bodies would be dumped and burned in that fire because there were too many to bury; (d.) the valley would be a burning garbage dump as a memorial to Jerusalem's destruction; (e.) gehenna would ultimately be restored into a garden holy to the Lord (Jer. 31:40). 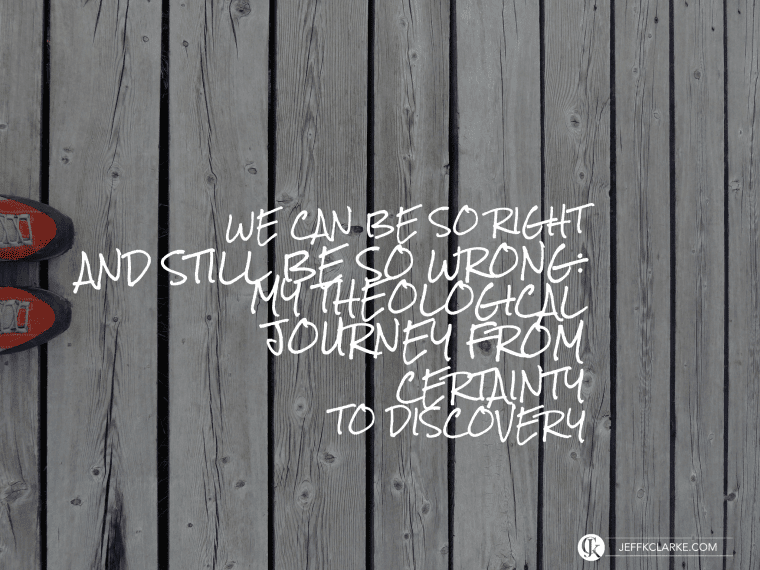 My theological journey has less to do with changes made to specific theological categories, though many such changes have occurred, and more to do with the in which I engage in the theological task. In the past, my approach to theology and biblical studies could have been characterized as a strict, letter-of-the-law type attitude, that was determined to create the perfect, airtight theological system by seeking to ensure that every ‘t’ was crossed and every ‘i’ dotted. My theological posture was very rigid and often aggressive. I came to view Christian experience as suspect, holding out little possibility that it could add anything beneficial to my well-defined belief systems. I was all too eager to throw around words like heresy and heretic the moment I encountered what I thought was unorthodox theology. a tendency toward harsh, polemical rhetoric and angry denunciations or ad hominem arguments when writing about fellow evangelicals with whom they disagree. Sadly, this was true of me. When all of our darkness and all that we believe to be light comes face to face—finally—with the One in and through and by whom all things were made, when all our good intentions are laid out and our best made plans meet the architect of the cosmos, when our internal “I am not” comes crashing into the Eternal “I AM”, all that bids us to say “no” to the beauty of love will forever be done away with and we will hence, “know as we are known”. This is not an atonement theory, neither is it a specific hermeneutic. It is a declaration of the success of Jesus, not over some ideological “sin” as though God is somehow able to “fill all things” except the sinner, who still lives “in and through” God. The success of Jesus is neither a victory in a non-existent war, somehow playing itself out on a grand scale, as though divine creator were subject to the whims and will of time and mortality. The only “spiritual battle” is the eternal internal discussion with the self regarding value and worth. This battle is the Armageddon of the soul, and each of us must face it head on. It matters not where the first shots were fired, be they an 8 year old boy suddenly feeling rejected by supposed Christian authority figures (myself), or the young woman who will never measure up to her mother’s impossible standards of beauty and her father’s continual rejection of anything “imperfect”. What matters is that we all have these shots fired at us continually. Not by some mythological “satan” (a character never given the power of omnipresence in the biblical narratives, and yet somehow able to be just that today), but by human beings, some well-intentioned, others not. Our source of healing then, indeed our source of “salvation” lies in the recovery of that which has wounded us so deeply; namely, our humanness. To recover our humanity, we search for ways to build and affirm that humanity. The activities of a soul in search of its humanity are varied, and depending on social environment, religious upbringing, and a plethora of other factors, they “flesh out” on the (horizontal with no “correct”) scale from pastor to plumber to prisoner. In other words, it doesn’t matter where we find ourselves in life, the reason we’re there is because we’re searching for our humanity once again. The only thing that grants us our true humanity, the only thing that beckons us from the halls of timelessness, what early Christians called the “gospel” is the risen Christ. A body raised in defiance of all notions of sacrificial bloodshed, the scapegoat has become the lamb and triumphed over death, not by fighting it or avoiding it, but by embracing it and declaring once and for all that no other scapegoat will ever be necessary, the goat has once and for all been delivered to the fires of hell and the Passover lamb has come bursting out of the tomb, once again filling all in all.